Now, this brings back some fond memories, although the track sounds kind of weird now after not hearing it for so many years. 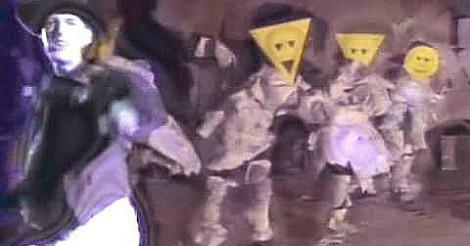 The video with the dancers wearing triangular, rectangular and giant eyeball face masks was also pretty out there, and, no doubt, gave many people nightmares! "We Call it Acieed" entered the UK singles chart at No.20 on 9th October 1988, making it the highest new entry that week and one place above The Christians, who entered at No.21 with their hit "Harvest For The World". The single reached #3 on 16th Oct for one week, and also made #1 on the U.S. Dance Charts. This is one of the more commercial acid house tracks that was around back then, but they used to play a lot more of the underground stuff in the decent clubs, of which, there were none in my area! However, I was brave enough to venture into the more underground clubs in Cheltenham and Gloucester every now and then. Now, I'm not so sure why I used to love dancing to these tunes in the late 80s, but that's me showing my age! Who remembers the smiley face T-Shirts that were all the rage? There was a big fuss in the press about the link to drugs and acid house music at the time, but it was pretty much over-hyped by the media as usual. This video was first aired in October 1989, so it just makes it as an 80's hit! It was Directed by Marek Budzynski. The orange top Cathy is wearing is the same top she appears in for the cover art of the "C'Mon And Get My Love" 7" and 12" vinyl singles. The single peaked at #15 in the UK, but made #1 in the U.S. Dance Charts. It was taken from the album A Little Bit of This, A Little Bit of That. 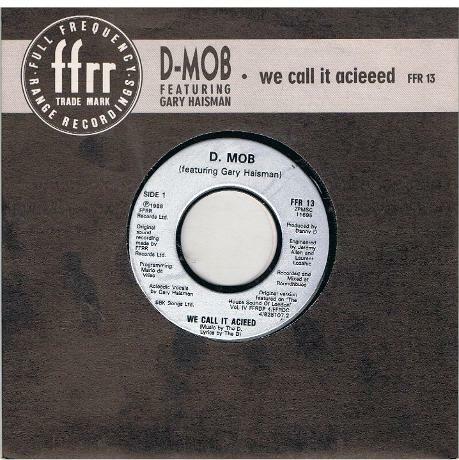 D-Mob's other two eighties hit singles, We Call it Acieed and It's Time To Get Funky also hit #1 on the U.S. Dance Charts.